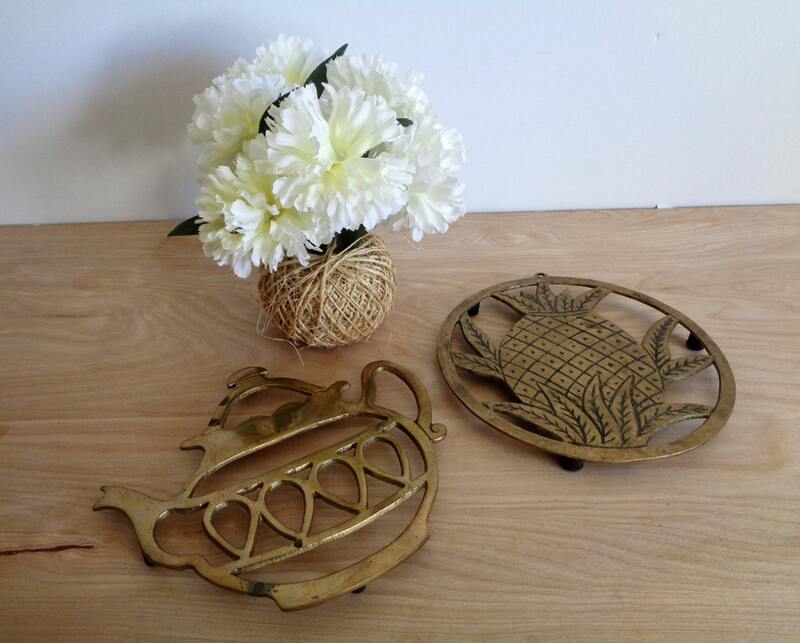 Lovely brass housewares/home decor piece. 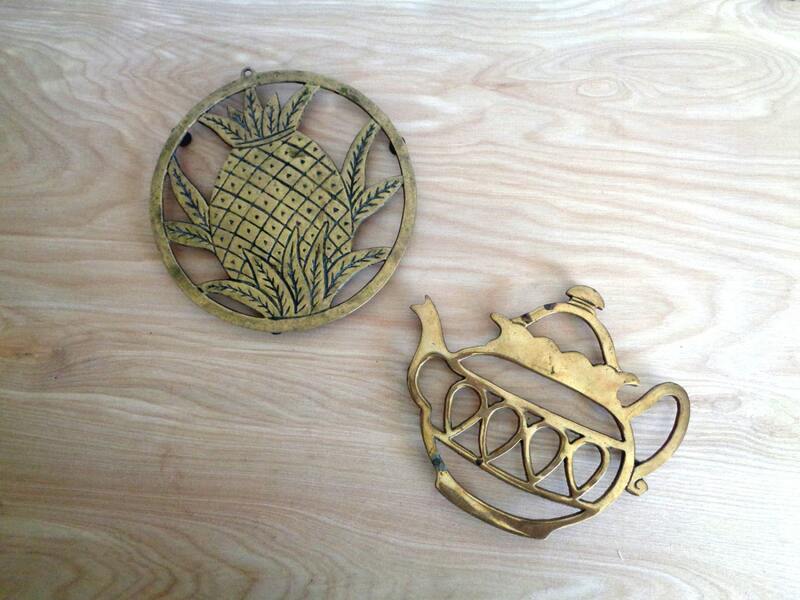 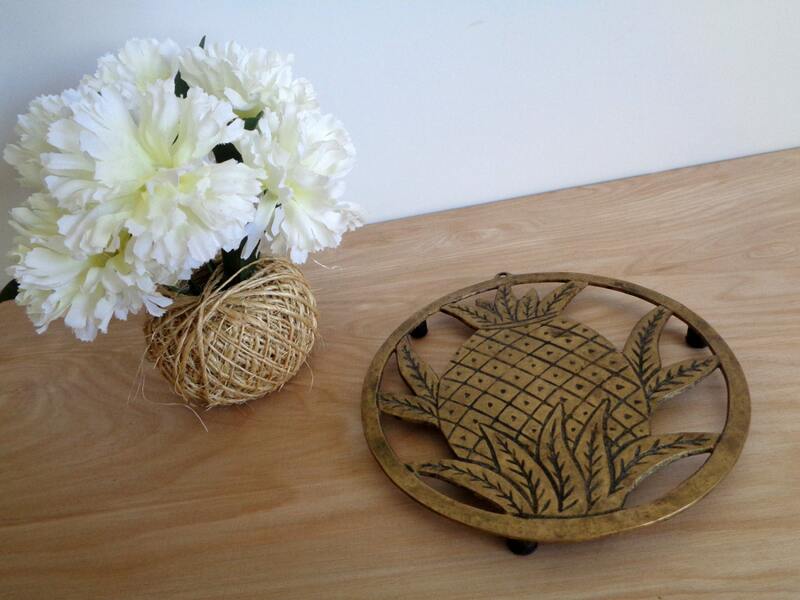 Round pineapple tray and cute teapot tray. 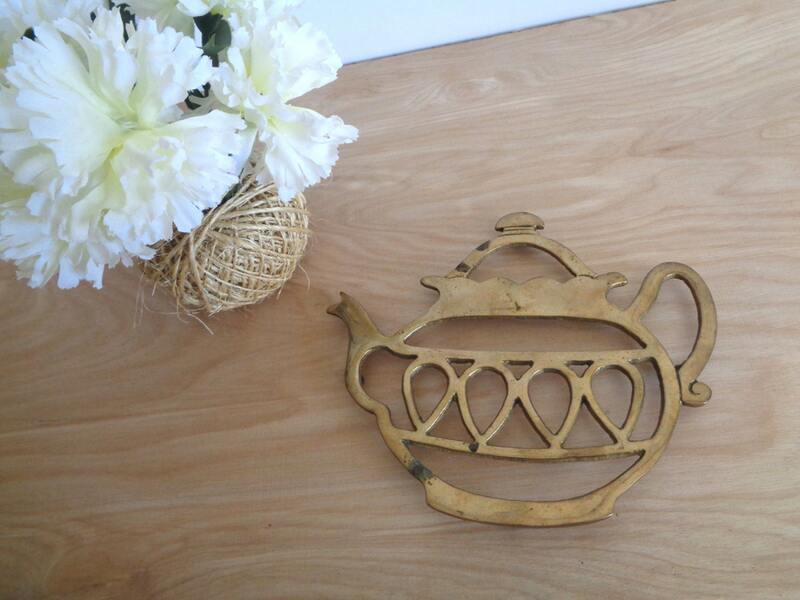 Good vintage condition with some oxidation and discoloration. 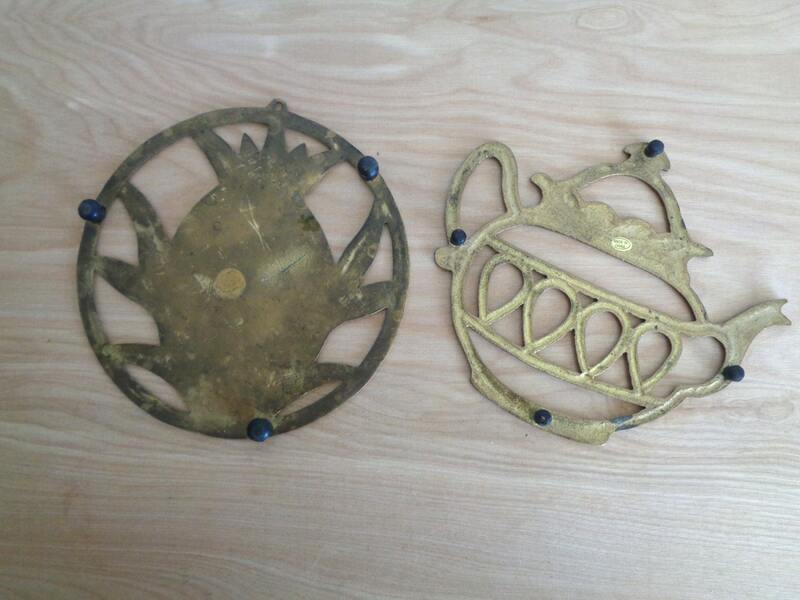 Four legs with rubber feet underneath to raise from surface.